Inter Press Service (IPS): What are your thoughts on developments since leading a team of negotiators to the Paris Talks? Dr. James Fletcher (JF): We have excellent Caribbean negotiators and they continue to ensure that we preserve the things we fought so hard for, such as loss and damage in the agreement and the 1.5. Last year, the tabling of the special 1.5 report was an important development but we did not seem to have much success in getting the COP to formally recognise the report. The language spoke about ‘noting' rather than ‘embracing and endorsing' the recommendations. That was disappointing. The biggest disappointment, however, is the disengagement of the political apparatus. Going into Paris, we had the engagement of the Caribbean's political apparatus. We had the CARICOM chairman, who at the time was Prime Minister of Barbados Freundel Stuart. CARICOM Secretary General Irwin LaRocque was present and so was the former Prime Minister of Saint Lucia Dr. Kenny Anthony, who had responsibility for climate change. We had leaders who were engaged, stayed with us, helped to develop momentum in talking to people like Ban Ki Moon, the then Secretary General of the United Nations and former U.S. President Barack Obama, to ensure that we had political support. That political engagement has stopped, not just at the level of heads of government, but also at the ministerial level. You don't see that coalition of Caribbean ministers speaking strongly, with one voice, on climate change anymore and we've lost as a result. IPS: At the highest levels, how can we improve the climate change discussion? JF: Unfortunately, we've changed the narrative to one just on climate finance. When our ministers, prime ministers and Saint Lucia's prime minister, who has responsibility for climate change, speak, they speak almost exclusively about mobilising climate finance. Finance is extremely important, but not the only thing that we should be agitating for. If we cannot get industrialised countries to reduce their greenhouse gas emissions to get us closer to 1.5 degrees Celsius, it doesn't matter what level of climate financing we mobilise, we will not be able to stay ahead. We'll have catastrophic impacts that no amount of money will help mitigate. IPS: Do you think the realities of the last few hurricane seasons have made people more aware of the realities of climate change? Hurricanes Maria and Irma brought home climate change in a very real way to Dominica, the British Virgin Islands and other islands. People understand how dramatic and catastrophic climate change can be. Fishers tell you that the fish catch is not what it used to be. They have to go much further out now to catch the pelagic that they were used to catching and are not getting the catches that they used to. In many different ways and sectors, people are experiencing climate change. IPS: You are assisting Dominica to build climate resilience. 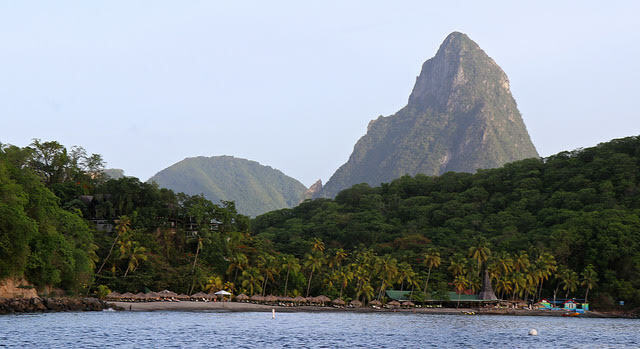 How important is a body like the Climate Resilience Execution Agency of Dominica (CREAD)? JF: The prime minister, in the aftermath of Hurricane Maria made a bold statement that he would make Dominica the first climate-resilient country in the world. CREAD is the vehicle to get that done. I was asked to stay on to develop the Dominica Climate Resilience and Recovery Plan, which is the overarching plan out of which CREAD's work plan flows. It's the blueprint for how Dominica will become climate resilient. It's based on three pillars; prudent disaster risk management, building resilient systems and effective disaster response and recovery, understanding that Dominica, like other Caribbean islands, will be impacted by hurricanes. With climate change, warmer oceans, warmer temperatures, you will have more severe hurricanes. At some point, every one of us will be in a position where we will have to recover from a hurricane or major storm. IPS: Caribbean countries are pushing renewable energy programmes. Are you happy with what you are seeing? JF: I think we could have done more, particularly in Saint Lucia. We should have had a 12 megawatt (MW) wind farm. We dropped the ball and, unfortunately, when the government tried to pick up that ball, the investor died in a tragic plane accident. I've been informed that the government, along with the Saint Lucia Electricity Services (LUCELEC), is trying to reactivate those discussions with another partner. The commissioning of a 3.2 MW solar farm by LUCELEC is a step in the right direction. LUCELEC is hoping to build more utility-scale solar photovoltaic facilities with battery storage. The price of solar is going down and hopefully the price of battery storage will also go down. The window for geothermal is closing. The cheaper solar and battery storage get, the more unattractive geothermal will become, because geothermal is a risky proposition. ….Dominica has made some serious inroads there, as has St. Vincent and the Grenadines. We're a bit behind the curve, but hopefully Saint Lucia can get some test wells drilled and see what potential there is. IPS: Is there any project that you would like to see undertaken? JF: We planned on replacing 21,000 high pressure sodium street lights that cost the government around 11 million dollars annually, with LED lights…..we had a project with the Caribbean Development bank through blended financing…..we would be able to reduce the spend on electricity from streetlights to five million dollars. That project, for some reason, the government decided not to pursue, to the chagrin of the CDB because they were going to use Saint Lucia as a pilot. The second one involves energy legislation. We've done quite a bit of work as we have an Electricity Supply Act that basically gives LUCELEC a monopoly for the generation, transmission and distribution of electricity. That makes it impossible for any independent power producer to come in and get involved in the generation of electricity from renewable sources…… for some reason this has stalled. I really would like to see that legislation come into parliament this year.